A change is going to be implemented into Google’s PPC advertising company, Google AdWords, that will vary the way advertisers bid for keywords/ad space. When Google modifies elements to their PPC campaign, they are usually ways to improve performance, hence improve the ROI of AdWords to Google. With this, here is a look into such a change and how it will affect advertisers and publishers. Advertiser 3 would win the auction and gain the ad space at an actual CPC of $1.56. A top-price auction works by taking the value of whatever price the advertiser bids at as the winning CPC. For example, in the above example, the CPC that advertiser 3 would have to bid for would be $3. This presumes that the cost per click that advertiser 3 implements into their PPC campaign stays the same, after the auctioning change from Google. This is really good news for publishers of Google’s PPC program. This is because the CPC that is paid to the publisher is not dictated on the second top price, but the first top price. This means that the amount of revenue that advertisers get should effectively increase, potentially dramatically, if nothing changes (in terms of the CPC that advertisers adopt). With this in mind, publishers should look forward to seeing positive changes to their RPM (revenue per 1000) when the change propagates through. This makes the game of getting ad space very interesting now. No longer is it possible to adopt stupidly high CPCs to outbid everyone for ad space, knowing you will pay a cent more than second-place. The CPC you adopt will be the CPC you pay – actual CPC, as a metric, will disappear. This makes it much more interesting the strategy that advertisers will implement with their CPCs. For example, will advertisers be more cautious and implement lower CPCs? How did the actual CPC vary from their adopted CPC? Such questions will vary how advertisers change their CPC to accommodate such a change. Regardless of the affect on advertisers, this should be good news for Google. There are a lot of campaigns out there where bidding wars take place to get top spot or ad space priority. 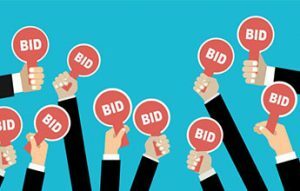 In such cases, such a change to the auctioning method will make the whole process of bidding for PPC keywords much more profitable for Google and the publisher alike.